The oldest part of the building was originally an inn called the ‘Vine’, built during the early 1520’s; its original sign is preserved close by in Lewes’ Tudor timber-framed Anne of Cleves House Museum. Records show that in 1590, the building was sold to the 4th Earl of Dorset who converted the inn into a fine manor house. It was then sold to Henry Shelley in 1661, a relation of the celebrated poet, Percy Bysshe Shelley. From 1800 to 1875 the house was owned by John Hodgkin. You may be interested to see the other side of a door in the lounge which charts the heights of the Hodgkin children whilst they were growing up. During the First World War, the house was used as a military hospital for officers. Afterwards, the house was converted into flats until 1932 when the building became a hotel named ‘Shelleys Hotel’. The Shelleys remained privately owned until 1977, when it became the first hotel owned by Mount Charlotte Investments. 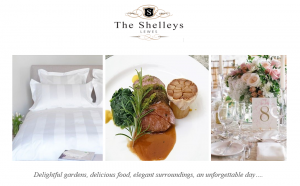 Following this period of corporate ownership, The Shelleys returned to private ownership in 2003. 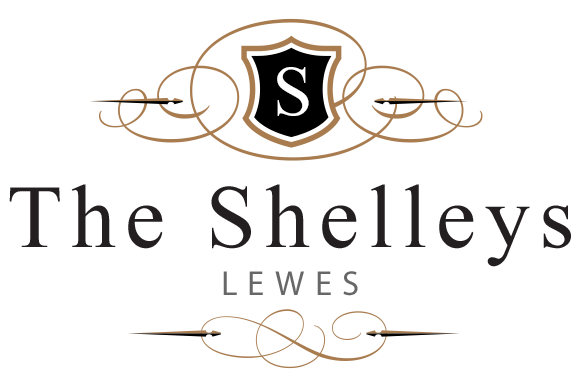 In 2007, the name of the hotel was changed from Shelleys Hotel to ‘The Shelleys’. The motive for this change was to restore the hotel to its original name, as it was in the 17th Century. Sceptics may not realise that ‘anyone’ can see or experience strange phenomena – if one has the receptive state of mind at the time. One such individual was a QC who, during 1978, stayed in Room 26. He was staying in the hotel, dealing with the prosecution of a criminal at Lewes Crown Court, yet left after his bed was apparently levitated three inches during the night. Typical poltergeist activity increased during that year, with chairs being moved and clothes hangers and ashtrays being tossed around the room by an unseen force.